If you’ve been charged with the job of planning your sister or best friend’s hen party, you’re probably anxious about getting it right and keeping an entire bride tribe happy at the same time. Every maid of honor wants to give the blushing bride the hen of her dreams, and one way to pull off this mission is to embrace the art of personalization. If you’re in the midst of putting together the weekend to end all weekends, here are some tips to make your celebration as personal as possible. Many brides choose to have a theme for their wedding, and they’re bound to have passions and interests that will give you some tips when selecting one for the hen. Think about what they love to do in their spare time and what they spend their money on. Channel the theme of the wedding, and go for something that matches their unique style and personality rather than what everyone else is doing. If you’ve rented a house for the weekend or you’re staying in a hotel, arrive a couple of hours before the bride is due to land and put up some personalized decorations. You can order customized bunting, balloons, and banners online, and you can also get fun novelty items like face masks of the bride or groom for everyone to wear. Give each hen a goody bag with the bride’s face on the front, and fill it with fun items that may come in useful over the weekend like games and cards, funky shot glasses or weird and wonderful fancy dress accessories. When you’re communicating with the hens before the main event, make sure everyone is clear on the dress code and the outfits they’ll need for the weekend. If you’re doing black and white, for example, ask everyone to bring a black dress, and then put together an outfit for the bride-to-be. Choose a dress that will compliment her figure, and don’t forget the accessories. She’ll need shoes and a bag to hold her essentials. If you want to buy a gift, a piece of jewelry is a great idea. You don’t need to spend a fortune and buy something to rival her rock from the Verragio engagement rings collection, but a simple necklace, an initialed ring, or a bangle will be a lovely token that she can wear that night, and keep forever. For that extra personal touch, hang her outfit on a bespoke named hanger. Every bride wants to look her back on her hen weekend, and smile and laugh about it for years to come. Ask the hens to send in photographs and messages, and make a book or an album for your bride to keep. You could leave the second part of the book blank, and then fill it up with snaps from the hen and scrawlings about what happened on the night out and inside-jokes. If you’re in charge of the hen party, take these tips on board to plan a fun, unique and special weekend the bride-to-be will never forget. Editor’s Note: A hen party is the same in the U.K. and Australia, as a bachelorette party in the United States. This is a sponsored post. What do you think of these tips? What things would you do to make the celebration a touch more personal? Tell us in the comments. It is soooo important to give your friend a fabulous hen party / bachelorette party. This is your one chance to give her a great send-off for the next stage in her life. This is all very good advice. Agreed! 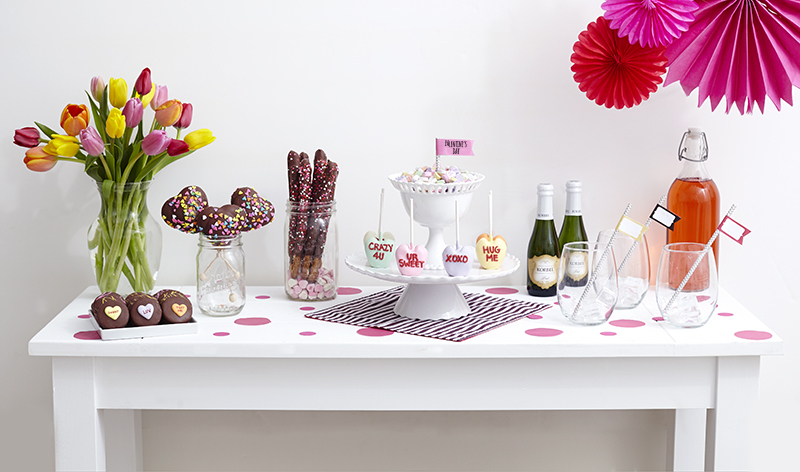 Personally we love party planning in general, but you can really get creative when it’s just you and the girls. I love that you’ve emphasized the personal touches. When planning a bachelorette party, it’s not about you, it’s about the bride!!! I once attended a bridal shower that was board game themed and we were all instructed to bring a board game as a gift. Yet, I happened to know that the bride hated playing games! The bridesmaid was thinking about what she would like, not about what the bride likes, which is just not cool. That sounds awful! It is hard sometimes to separate out what you think is fun from what the bride will truly love. It can be especially difficult if the bride is your sister. But this brings up a good piece of advice to always step back and say “is this what the bride would want?” I had to do that multiple times when planning my sister’s shower/bachelorette and again I find myself doing it for my best friend. So I have to know, did the bride ever confess to the person planning the shower that games weren’t her thing? Oh that will be fun! 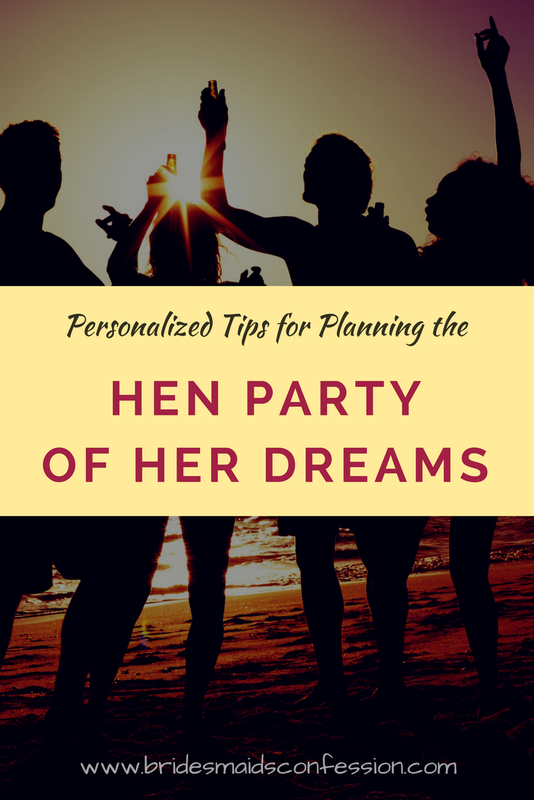 I love party planning, but when it came to my own bachelorette party, I wasn’t in control. It was so great and fun to spend time with my friends away for the weekend, but we didn’t do any themes. I think the theme was ‘no theme’! My fault, I told them not to do anything – just to get their butts there. Well I’ve seen your bachelorette pictures and it looks like you had a total blast! Sometimes no theme is the best theme. Hanging with your friends and having a good time is the only real requirement. This set up looks so adorable and fun! I love planning girls get togethers. Our next one is margaritas and tacos! Ohhh I love margaritas and tacos. Always a good idea. My bridal party didn’t throw me the bachelorette party I wanted. They actually ended up just not throwing me one at all! But, I really love how you emphasized the personal touches for the Bride! (The Bachelorette party is about her – not the bridesmaids!) It’s about planning things that she would love! Awww well if we ever get to meet up IRL we should plan a fun girls night out! 6 Proven Ways You Can Avoid Bachelorette Party ChaosBachelorette Party, Bridesmaids Confess! How to Make a Fabulous DIY Fascinator by Glam HattersBachelorette Party, DIY, Professionals Confess!